When I went through Army basic training my eyes were opened to how much of an idealist I am. My view of people in general is that we all want the best and do our best and have the best intentions for ourselves and for others. Throughout my life I have started with that assumption until given a reason to think otherwise about an individual. I still think that, as a rule, it’s a good way to approach things. But in the military, especially in a basic training environment, people are under a lot of stress and one’s true character becomes apparent very quickly. I learned fast that many of my comrades were self-centered, uncooperative, and swift to run towards evil. And I know that much of the world is in the same place. There have always been such people – only interested in themselves and willing to hurt and even destroy anyone else as long as they get what they want. Those who consider themselves sophisticated are often filled with cynicism. They believe that virtually everyone is like the fool and the scoundrel and that a truly noble person is rare almost beyond imagining. Is there really anyone whose heart is pure? One who plans good things, noble things? And who builds his life only on that which is good? The Bible shows us several, I think. King David in II Samuel 7 had a noble plan. He wanted to build a house for the Lord to be worshipped in. He thought it was unfitting that a mere human being should dwell in a mansion, “a house of cedar”, while the house of God was a mere tent. And even though God assigned the task of building the temple to David’s son, David spent years of his life planning for, designing, and setting aside the resources to build the temple. The house Solomon built was very much the result of David’s noble plan. I think, too, of Joseph in Genesis 39. Although he was a young man with the normal passions and desires of a young man, we see him able to steadfastly resist the advances of Potiphar’s wife, even when refusing her cost him dearly. How was he able to do that? So many, young and old, today claim that sexual urges are so powerful and uncontrollable that they just can’t help but give in to temptation when the moment comes. Again, how did Joseph do it? Well, he had a noble plan and was standing on nobler things than momentary physical pleasure. I wish more of us were like Joseph – I wish that more of us thought more of ourselves and of our purpose in this world than to yield ourselves up to immorality. Paul says, “Whatever gain I had, I counted as loss for the sake of Christ. Indeed, I count everything as loss because of the surpassing worth of knowing Christ Jesus my Lord. For his sake I have suffered the loss of all things and count them as rubbish, in order that I may gain Christ… … that I may know Him and the power of His resurrections, and may share His sufferings, becoming like Him in His death, that by any means possible I may attain the resurrection of the dead.” (Philippians 3:7-11) What a noble plan! What a noble deed! Can we say that, honestly, to ourselves and one another? Can we say that we will pay any price, lose any physical benefit, and throw away the pleasures and profits of this world, if only we can really know Jesus and be like Him? Can we say to ourselves that there is nothing worth more than that to us? Is it true that we will do anything it takes to attain eternal life, the resurrection of the dead? And how much different would your life be if that were true? He who is noble plans noble things. And on noble things he stands. The ruins of Stonehenge lie north of Salisbury, England. To this day, despite intensive research and discovery, the purpose of this 4000 year old monument remains a mystery. No one knows for sure why or even how it was built. The large stones are believed to have been transported from Marlborough downs, a distance of 20 miles while some of the smaller stones (still up to 4 tons in weight) may have been brought from Wales – nearly 160 miles away. It is difficult to explain how, using primitive technology, such large pieces were moved such great distances. The project continued for nearly 1000 years and required the labor of thousands of individuals. The sheer scope of the effort suggests that Stonehenge was hugely important to the ancient people of Britain. But we don’t know why. The site fell into disuse and disrepair, and its significance has long been forgotten. 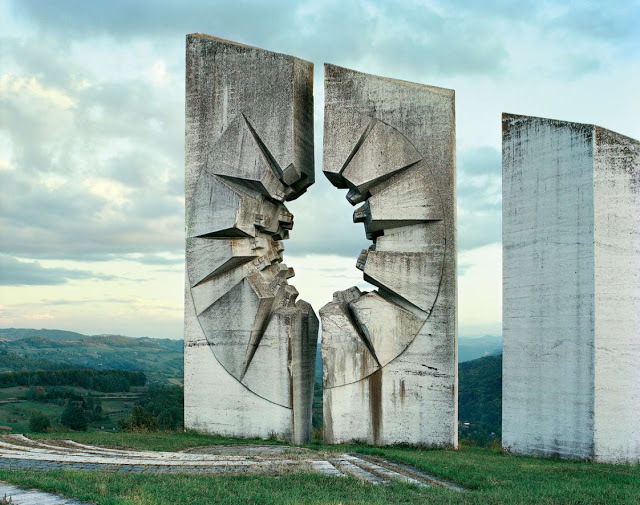 Today, in the former country of Yugoslavia, dozens of monuments commemorating World War II battles stand abandoned and forgotten. Millions per year visited these sites 30 years ago, but 500 years from now, will anyone know why they are there? Some of these sites are already beginning to look like ruins and even today they are virtually unknown outside of their own territory. In the Bible, speaking of the temple in Jerusalem, Jesus said, “there will not be left here one stone upon another that will not be thrown down (Matthew 24:2).” And within a generation, his words came true. Indeed, the world and all its works continue to pass away (I John 2:17). Even the great and noble things of this world do not last, nor do the memorials we create to honor them. And yet we still look in awe at the mystery of Stonehenge and we admire the work of its nameless creators. 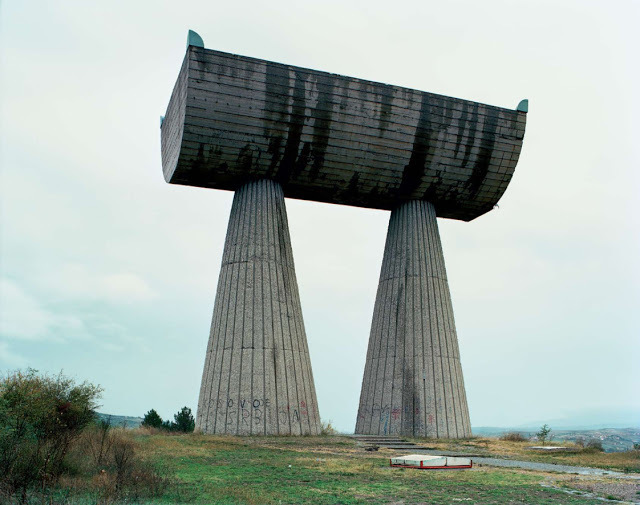 I suspect that, if they stand, the monuments in Yugoslavia will evoke a similar response many years hence. More than the monument, though, the legacy of Stonehenge lives in the people – the descendants of the ancients who built it. 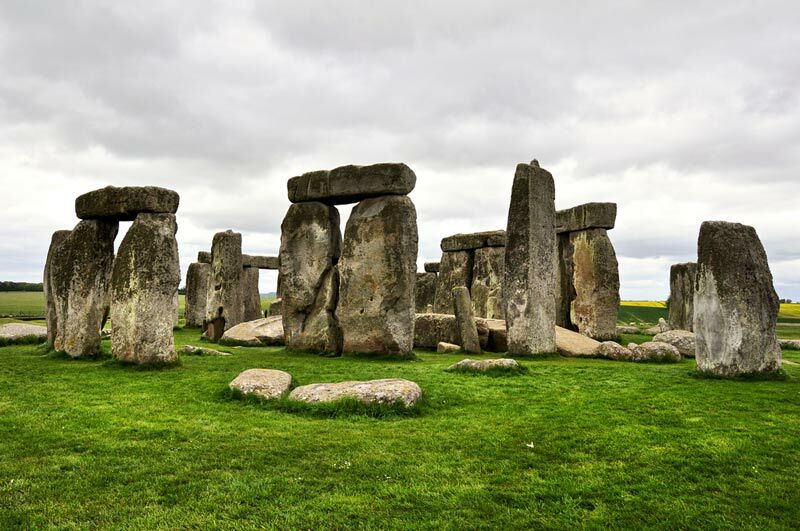 The culture that created Stonehenge is one of the building blocks of the English-speaking world that exists today. 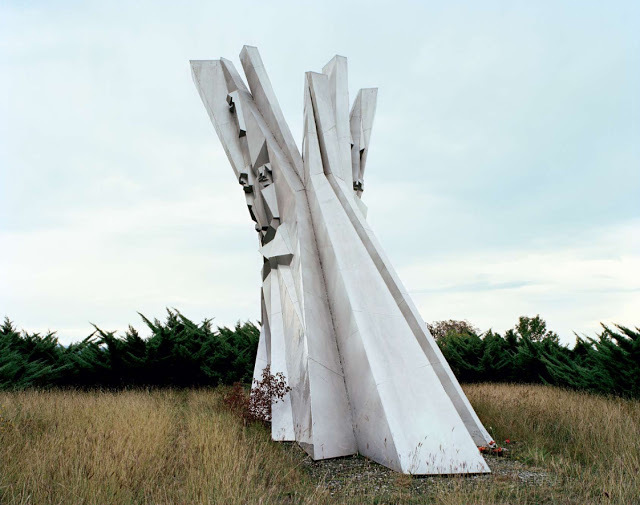 In the same way, those neglected monuments to World War II represent a generation that sacrificed and suffered greatly and that, for good and for ill, shaped the world as we know it. And for us, too, that is what will ultimately last. Not the projects completed, houses built, or possessions obtained. None of the physical creations will be remembered, but the ideas, the interactions, and the character that shapes our works will also shape our futures. It has been said that the travels of Abraham can be traced by the altars he built. In Genesis 12, we read of the Lord calling him to leave his home and go to Canaan. It says that he went to Shechem and built an altar where the Lord appeared to him in v. 6-7. Then he moved to Bethel and “pitched his tent with Bethel on the west and Ai on the east; there he built an altar to the Lord and called on the name of the Lord. v 8” In chapter 13, after he separated from Lot, he went to Hebron and again built an altar – 13:18. Under the patriarchal system, the altar was the place of worship to God. Every place that Abraham went, then, he prepared for himself a place and a way to worship his God. There are a couple places where he lived but didn’t build altars: Egypt (Genesis 12:11-20) and Gerar (Genesis 20:1-9). It is more than interesting to note that those places are the places where he sinned. Scripture teaches that we are merely sojourners and travelers on the earth – Hebrews 11:13-14. As we travel through life we need, like Abraham, to be erecting “altars” everywhere we go – signs and reminders that, no matter where we find ourselves, we took time to remember God. In our Families. Raising godly children is not something that just happens. However, having children does. Many enter into fatherhood and motherhood without purpose and without a goal. As a result, their training and discipline of their children, if it happens at all, is done haphazardly and without purpose. Even Christians are sometimes no more specific in their plans for their children than, “I hope they grow up to be faithful.” For the most part, if you’re just hoping, they probably won’t. “Train up a child in the way he should go, and when he is old he will not depart from it” Proverbs 22:6. “…do not provoke your children to wrath, but bring them up in the training and admonition of the Lord” Ephesians 6:4. How can you bring your children up in the training and admonition of the Lord if you are not living yourself in the training and admonition of the Lord? We need to be building altars to God in our families. That is, we need to make home a place where God is remembered and respected and given a central place. If we don’t, how can we hope for our children to grow up to serve God? On one of the altars Abraham built, he offered up his only son, Isaac, at the command of God. How do you think the unflinching obedience of his father affected the young boy? When Joshua exhorted Israel, he said, “As for me and my house, we will serve the Lord – Josh. 24:15.” He had built an altar – making it known that God was not an optional addition to his family. Does your family have a time they study the Bible together? Do you have a time besides mealtime when you pray together? What place does gathering with other Christians have in your family? What part does God play in your normal, everyday conversations? 5 “You shall love the LORD your God with all your heart, with all your soul, and with all your strength. 6 “And these words which I command you today shall be in your heart. 7 “You shall teach them diligently to your children, and shall talk of them when you sit in your house, when you walk by the way, when you lie down, and when you rise up. 8 “You shall bind them as a sign on your hand, and they shall be as frontlets between your eyes. If the Lord has a constant place of honor and involvement in the fabric of our family life, then we won’t have to merely hope that our children will grow up to be faithful. We will instead have the assurance that we are, indeed, bringing them up in the training and admonition of the Lord, and that, even when the children have left the home, He will be a permanent fixture in their lives and our own.